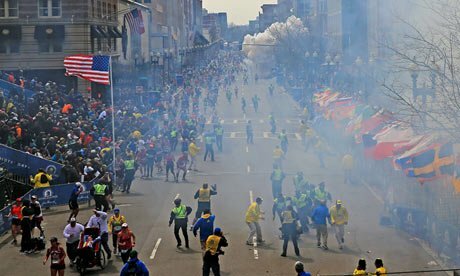 According to new reports, Fox is developing a TV series about the 2013 Boston Marathon bombing. The as-yet-untitled show will be based on the book Long Mile Home by Boston Globe reporters Scott Helman and Jenna Russell, Deadline reported. The TV project follows the true stories of five people whose lives were changed forever in the tragedy and the week that followed. The series will be written and directed by The Contender director Rod Lurie. Visiting Boston ahead of this year’s marathon, Rod Lurie said it was “a big beautiful city… with a bounce-back population that takes care, not just of its own, but others as well”. Rod Lurie told Deadline he had already begun writing the script. “It’s hard to imagine a story in which an entire community caught a couple of criminals like Boston did. In this case, the accurate story is a phenomenal story,” he said. Bombing suspect Dzokhar Tsarnaev is due to stand trial in November for allegedly setting off two pressure cooker bombs with his older brother Tamerlan, who later died in a police shootout. Three people were killed and more than 260 injured in last year’s Boston Marathon bombings.